Also known as Systems, Applications and Products in Data Processing, SAP can be broadly defined as an enterprise and business software that is used for the management of business operations as well as customer relations in any organization, regardless of its size and structure. The main focus of this product is to provide end to end solution for different departments such as logistics and production, among others. With increasing popularity, the requirements of comprehensive knowledge of the product are also increasing. To fulfill this demand, there are several books in the market. The following are some of the best books for SAP novices and experts. When a newbie wants to get a feel or study the fundamentals of SAP software quickly, this is one of the best books that offer the essential parts of the topic. The authors of this book are using SAP since 25 years and know the software inside out. In this book, they offer this knowledge in a very comprehensive and comprehensible manner. The basics have been explained with simple and linked examples. Some of the topics tackled by this book include SAP ERP, the basics such as master data, organizational units and transactions. The authors also offer an overview of SAP product portfolio, in addition to the technical side of this product. Further, the readers also learn about the HANA, SuccessFactors, NetWeaver, SCM and CRM. For the people who are aspiring SAP professionals, this is one of the best books that offer an illustrated guide to reach the next level. With updated content such as the latest ERP 6.0 screens in all the modules, the book offers readers the lowdown, whether they want to start using the software, personalize it or create reports. Edited by a panel of SAP professional, this book is the best alternative to costly training. The book can be a step-by-step training for the newbie or a reference point for SAP professionals for a new project in professional sphere. This is one of the most comprehensive SAP user guides that enable professionals to master the software. It is an indisputable fact that the modules of SAP ERP are very hard to configure or utilize in an effective way without the required experience or expertise. However, this book makes it very easy for the people to understand and utilize the software with a systematic approach. The book offers step-by-step information regarding the configuration of SAP FICO, Financial Accounting and Controlling users and enables the use of all aspects of the program. Due to this, the user can easily manage the complexities of the configuration. In addition, the author also provides a complete list of tested and sound procedures, so that the user can ensure implementation of system functions without any error. With this, the author ensures that the installation and function of FICO is up quickly. The author has adopted a hands-on approach with frequent practical examples, as well as screen shots, for easy configuration of the enterprise software. With the increasing use of SAP in the organizations across the globe, the learning of SAP has not only become compulsory for IT professionals, but also for employees from the other departments such as purchase, logistics, production and accounts. However, as more and more people are leading a busy lifestyle, it is becoming difficult for them to learn a new skill. For example, a person who is working on pricing of a product, need to learn some aspects of SAP. However with the hectic schedule, he can only get an overview of SAP from colleagues or the internet; this is not enough for his specialization in the organization. This book is thus the best alternative for such professionals, as it offers information about how to set up relevant systems in SAP in a lucid style. This is a practical guide and one of the best SAP books to understand various SAP material master concepts. Further, this book offers an opportunity for readers to understand the unique environment of SAP and its impact on FICO. With the help of this book, the readers can maximize their value stream with MM SAP Materials Management. The book offers various topics such as basics of material master, its structure, the creation and access of SAP Material Master and technical information, among others. In addition, the author also offers information about different departments in SAP Material Master such as sales, marketing, purchase, accounting and quality management. This is one of the best books on SAP that offers information on one of the most interesting and vital parts of enterprise software, that is SAP tables. The author offers a complete overview of the most common SAP tables that are used in day-to-day operation of SAP. One of the advantages of this book is the essential information offered by the author without any frills. The author can use this book as a reference point to find the relevant SAP table while working on any particular project. This book is targeted towards the beginner, the super user of SAP and consultants who work with SAP daily. Although, this is one of the best book for beginners on SAP, the other sections will be handy for project managers, business consultants, system support analysts and functional consultants who can use it for reference. Furthermore, the book offers information for creating ABAP programs from a scratch. Further, every chapter builds on the information given in the previous chapter and enables the reader to understand various aspects of SAP. The guidelines offered by this book can be easily applied during writing programs for any module within SAP including the FI, HR or SD. The main aim of this book is to enable the readers to plan, document and create the best SAP programs. 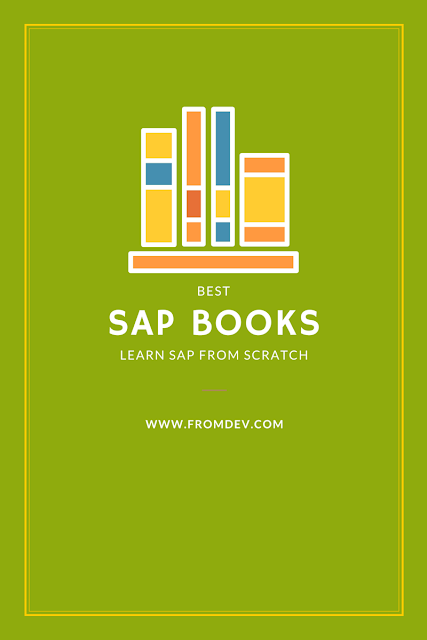 This is an excellent guide and best book to learn SAP whether you are a beginner, a new SAP project team member who does not have an idea about the project, or a support analyst who is dealing with new requirements or change requests. It does not matter whether you are an offshore consultant or a business analyst who wants to move to SAP arena, this book is targeted towards all people who want to learn SAP or would like a reference when they encounter any difficulty during the project. The book offers extensive information with real-world examples, tips and hints that are enumerated in a very easy language. The book also offers a lot of secret information to make programming as well as functioning easy with SAP. One of the main factors behind the success of manufacturing companies is the efficient and effective production planning process. For that, it is important to learn the basics of the production planning with SAP ERP. The is the best book to review detailed information that surrounds MRP II or Material Requirements Planning, along with the principles of various scenarios such as Make-to-Stock, Assemble-to-Order, Make-to-Order and Engineer-to-Order. The book offers various information as well as examples with screen shots in order to maintain an effective production planning strategy. The book also explains various processes such as production orders, resource planning and master data, in the context of the production planning strategy. This is a great guide for SAP that includes a free and downloadable functional specification template. With this template, the user can produce a high-caliber and polished valuable interface specification in a relatively small time. Regardless of the user’s experience with programming, with this book, he or she gains the capability to deliver effective, comprehensive and professional interface functional specs within the deadline. The author offers real-world examples and various short-cuts in form of tips and hints to speed-up the process of learning. SAP is increasingly being used for efficient planning strategy in any organization. These books not only give an overview of SAP to the beginners, they also offer the necessary information required to accelerate the design, implementation and timely delivery of a SAP project for experienced SAP users.